Toss the sausages with the honey and mustard and place on a roasting tray and bake for 20 minutes. Bring the water and salt to the boil. Add the milk once boiling and butter. 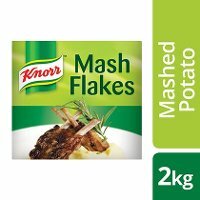 Whisk in the Knorr Potato Flakes. Whisk until smooth and cooked through. Stir in the cream until desired for a dip. 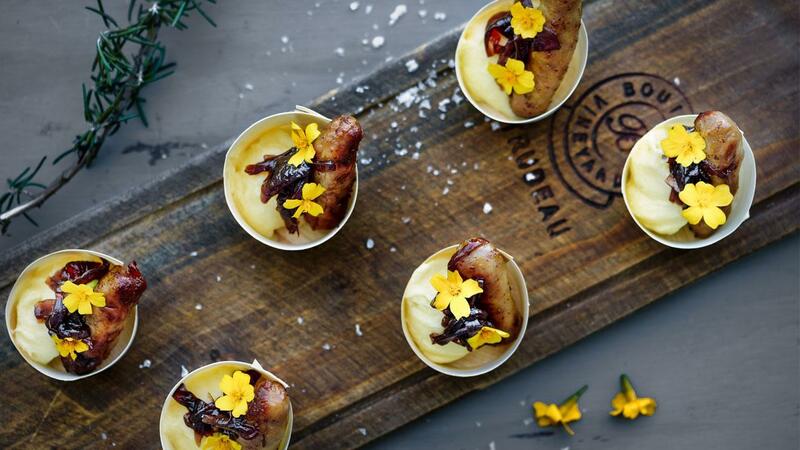 To assemble place a dip in the base of the cup, place 2 sausages and garnish with micro herbs.